It's possible to populate the labels for your project from a set of predefined labels. 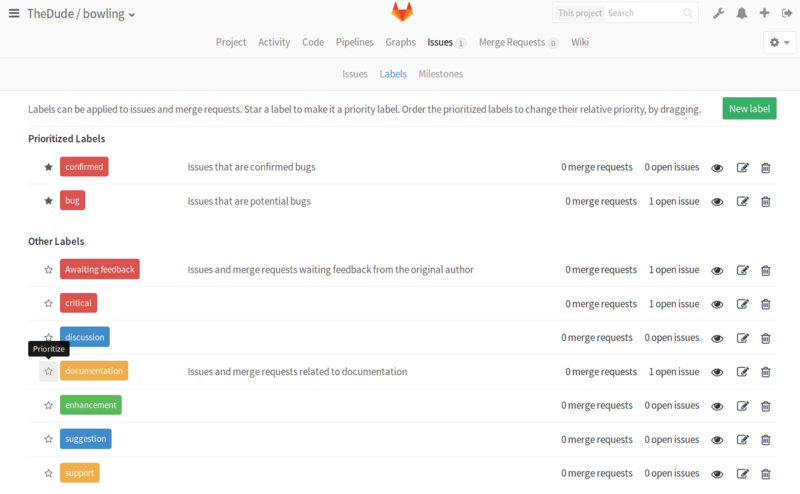 Click the link to 'Generate a default set of labels' and GitLab will generate a set of predefined labels for you. There are 8 default generated labels in total and you can see them in the screenshot below. 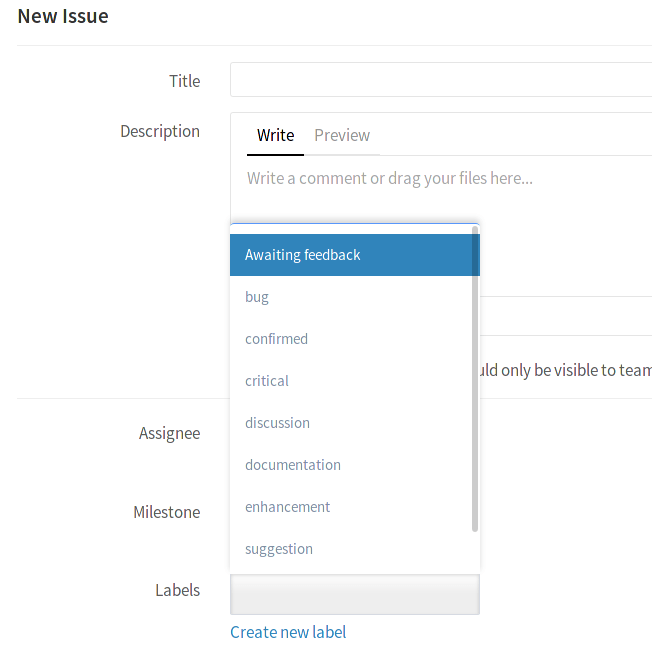 Now that you have labels prioritized, you can use the 'Priority' and 'Label priority' filters in the issues or merge requests tracker. 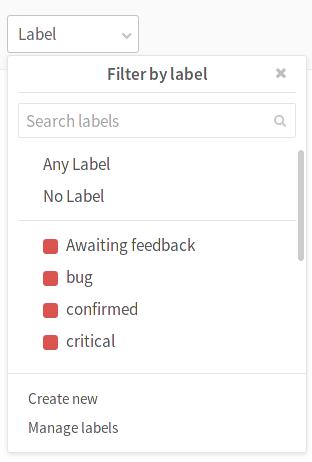 The 'Label priority' filter puts issues with the highest priority label on top. The 'Priority' filter sorts issues by their soonest milestone due date, then by label priority. There are times when you are already in the issue tracker searching for a label, only to realize it doesn't exist. Instead of going to the Labels page and being distracted from your original purpose, you can create new labels on the fly. 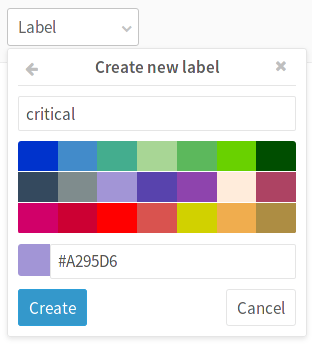 Select Create new from the labels dropdown list, provide a name, pick a color and hit Create. 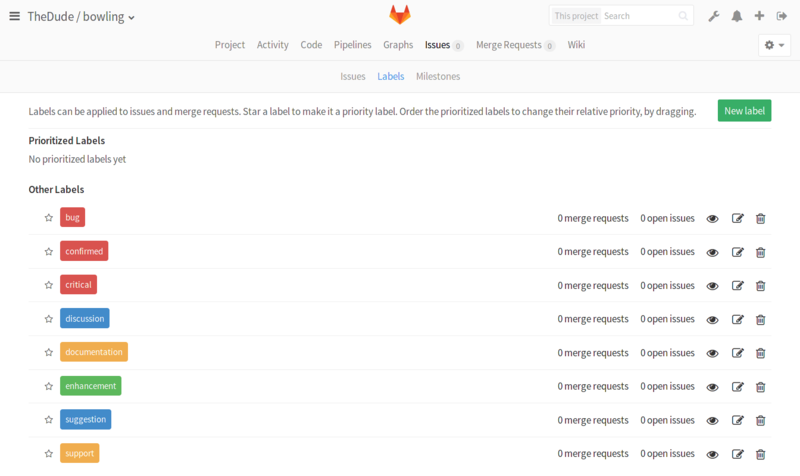 You can assign a label when you first create or edit an issue or merge request.